Shopping for a wedding ring should take considerable thought. It is a symbol of eternal love, fidelity, and commitment. The circle itself symbolizes eternity, with no beginning or end. With all the significance tied to wedding rings, it is no wonder why a titanium ring has become a frontrunner as the modern couple’s choice for a wedding band. While there are more than 30 grades of titanium available, there are only three options to seriously consider for your wedding band. Commercially pure (CP) titanium is one, which is stronger than precious metals such as silver, gold, and platinum, and can be embedded with diamonds and other gemstones. Aircraft grade titanium alloy or Ti-6/4 is thrice as strong as CP, and is ultra resistant to wear and tear. The strongest titanium alloy in the market is Ti-6/6/2 which is 130% stronger than Ti-6/4. 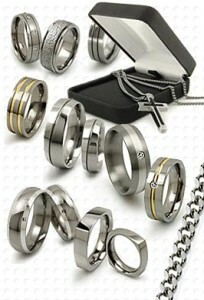 Whichever grade you select, all are far superior in strength compared to other metals that are used for wedding rings. These titanium grades are all hypoallergenic, making them safe for those with sensitive skin. 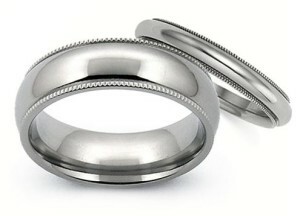 Because of the strength of titanium, titanium wedding rings are made-to-order. This means that you need to get an accurate ring size before you place your order. This is primarily because titanium rings are difficult to resize. Figure out your ring sizes before you order your rings. You wouldn’t want your ring being too tight or too loose that it might fall off. Check what type of sizing the wedding ring supplier uses. 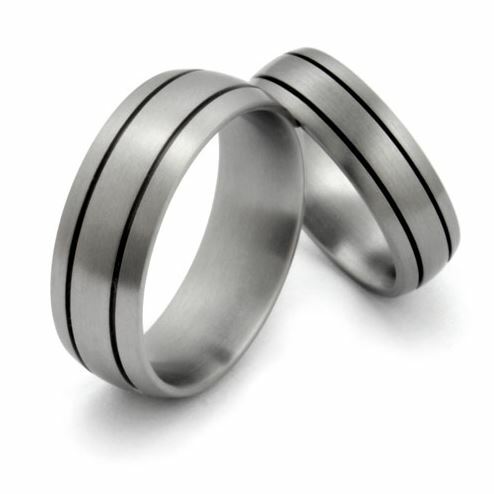 Simple designs will always be popular choices, but there are several other design options available for your titanium wedding ring. Inlaid and stone set designs are popular ways to add some character to an otherwise simple jewelry piece. 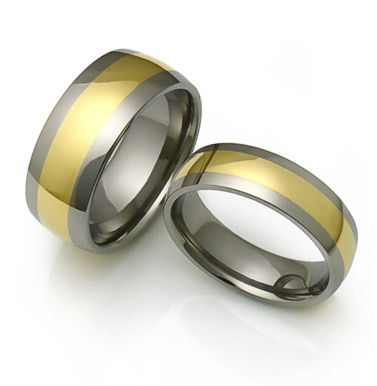 If you want to keep it to the simple, yet beautiful color of titanium, you may want to consider the finish to give your titanium ring a different twist. Whether you want classic, sandblasted, or hammered, choose the finish that reflects your style and personality as a couple so that both of you can appreciate and cherish the rings you selected together. 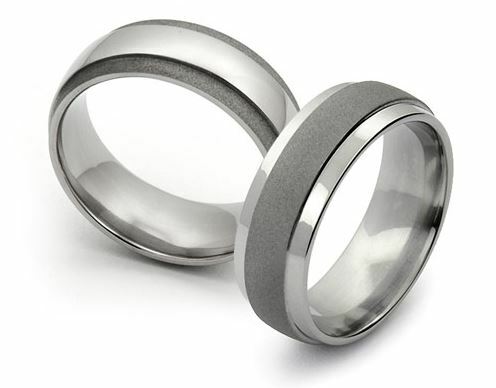 For titanium wedding rings and other titanium jewelry, check out our collection of beautiful pieces here at Avant Garde Jewelry that you and your partner can enjoy for many years to come.